The following set of software functions illustrates Cosinor methodology such as modelling, period detection and associated tests (per Nelson et al., Bingham et al., etc.) and comparative spectrum methods of data analysis (mostly from the Exploratory Data Analysis) for the period determination, modelling and forecasting models (see Methodology and References for more information). Other functions exist but are not described here, such as filters, data transformation, detrends, etc. Figure 1.2-a: Abstract of tests for a fixed period for a triangular function of a 2Pi period. Figure 1.3-a: Confidence ellipse plot with rectangular function of period 2Pi, p = 0.95 means CI = 95% α = 0.05. 1.4 - Population Mean Cosinor – Confidence ellipse according to Nelson et al., Bingham et al. Figure 1.4-a: Confidence ellipse plot with triangular function of period 2Pi, p = 0.95 means CI = 95%, α = 0.05. Figure 1.9-a: Chronogram and confidence intervals: Phase and amplitude. 2.3 - Single Cosinor – Confidence ellipse according to Nelson et al. and Bingham et al. Figure 2.5-a: Model and experimental points curves for a cosine function with 3 periods: 6, 12, 24. 2.11 - Single Cosinor – Chronobiologic Window according to Halberg et al. 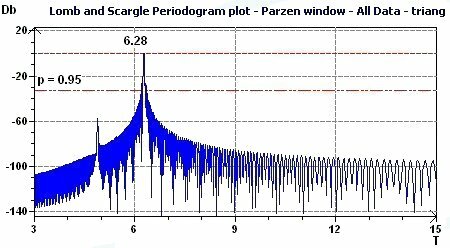 Figure 2.11-a: Chronobiologic Window (Allows to detect the period by the study of the residues variance as a function of time) Example of a triangular function of period 2Pi. 2.8 - Single Cosinor – Complex Amplitude Demodulation plot according to Gouthière. Figure 2.10-a: Variance Homogeneity plot. 2.12 - Single Cosinor – Comparison of rhythms, comparison of chronobiometric parameters according to Bingham et al. A lag plot checks whether a data set or time series is random or not. 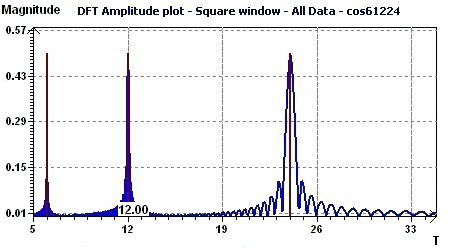 Random data should not exhibit any identifiable structure in the lag plot. Non-random structure in the lag plot indicates that the underlying data are not random (EDA Graphical Techniques 1.3.3.15. Lag Plot, Engineering Statistics Handbook) A complementary test of Ljung and Box (Q test) check the assumption of "Independent Data". Figure 3.15-a: MESA spectrum of sum of cosine functions of periods 8, 12, 24. 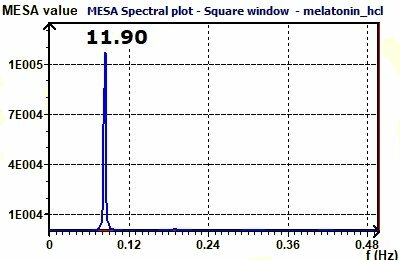 Figure 3.15-b: MESA spectrum of plasma melatonin. Copyright © 1996-2019 Expert Soft Technologies. All rights reserved.